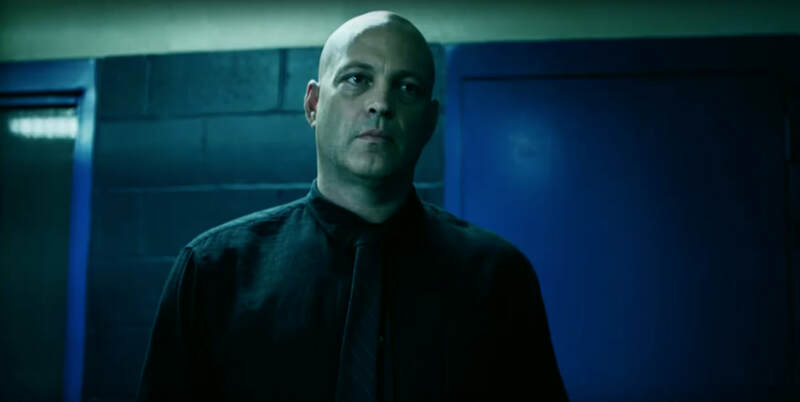 A movie review of ​BRAWL IN CELL BLOCK 99. Effing hell! What a slice of gonzo cinema! One of the most violent films I have ever seen. Vince Vaughn is a revelation (an especial surprise after his inadequate turn in TRUE DETECTIVE season two). And a huge step up for director S. Craig Zahler, who made the dire BONE TOMAHAWK. 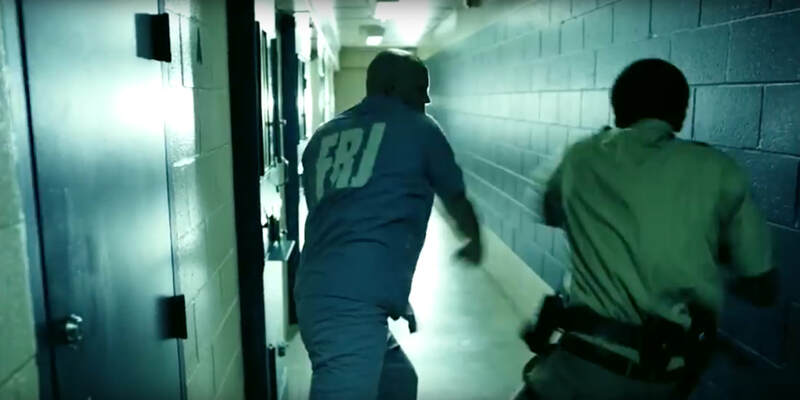 BRAWL IN CELL BLOCK 99 gets progressively more vicious, almost like a video game. It is a testament to the compelling unfolding that one did not notice any walk outs during the press screening (either because there weren’t any, and/or I was so engrossed). Contrast the press screening of BRIMSTONE, from last year, which had a steady tide of exits. This is not similarly unrelentingly grim. For all the brutality, BRAWL is electrifying and surprisingly funny. ​We meet Bradley as he exits a truck. 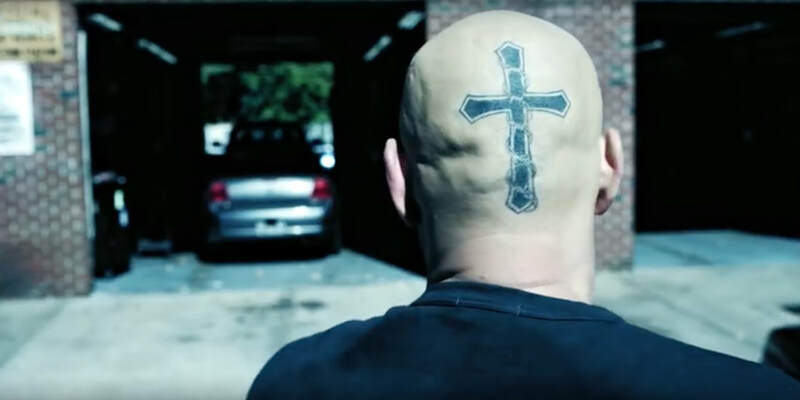 Bald, with a cross tattooed on the back of his skull, one wonders if this is a good man. Is he a white supremacist? Turns out he is principled and he is not a racist. We watch him as the economy is used as the reason to make him redundant from his auto mechanic job. 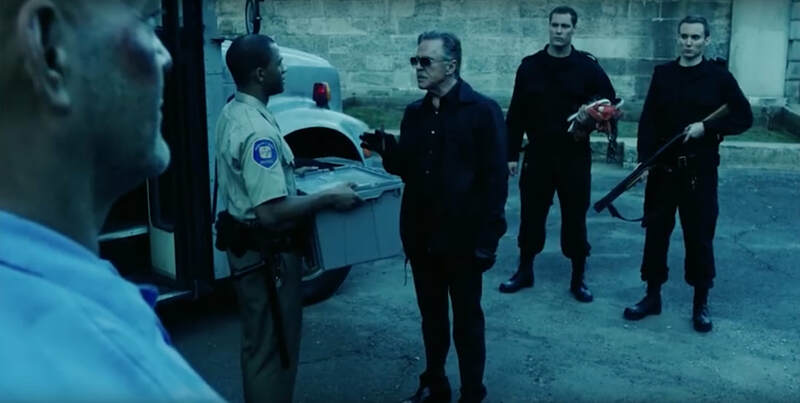 Never having been convicted, he feels the only way to save his marriage to Lauren (Jennifer Carpenter), and have a baby, is to become a drug runner. Speaking to Bradley’s character: He is a former boxer, quitting, to avoid hurting others for no reason. He is about to maim a lot of people. Oh, and he doesn’t like his name shortened to “Brad”. 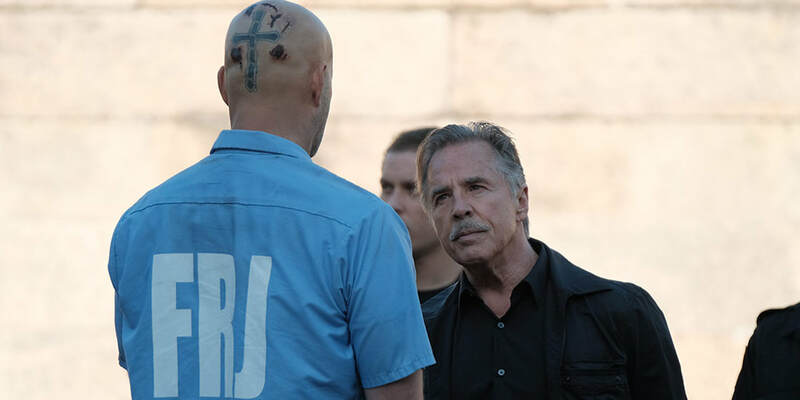 BRAWL IN CELL BLOCK 99 bottles that rarest of cinematic qualities: Unpredictability. When Lauren admits to an extra-marital affair, we worry for her safety, not just that he gives off a vibe of coiled ferocity, but because we witness him take out his frustration on her car. Bradley takes it apart with his bare hands. The film continually subverts our expectations. If anyone jumped to the conclusion the lead is not bright, you are quickly wrong-footed. Bradley is both articulate and sensitive. Also, he has a mouth on him. Hilarious wisecracks inevitably, repeatedly reward him with a crack to his physical person. How many times you look on in horror/admiration as he rails against obnoxious behaviour with a choice retort. He reminds of Bruce Willis’s Joe Hallenbeck in THE LAST BOY SCOUT, someone who cannot let sleeping dogs lie. ​Of course a drug pickup goes wrong. Sentenced to seven years incarceration, Bradley’s woes are only just beginning. His unborn child is threatened in the most gruesome way. Udo Kier is on sinister form. Merciless, sadistic antagonists array themselves, but meet their match in exhilarating fashion. The fight sequences crunch and are well choreographed. If you are not wincing by the climax, you are probably made of similar stern stuff as Bradley.